Summer vacation is coming up fast, but there is still time to scoop up new clients for your travel agency this season. The key is to “make them an offer they can’t refuse,” and to ensure you reach the largest audience possible, you’ll want to cast your net both via the web and with physical print media like flyers, brochures, and postcards sent via Every Door Direct Mailing (E.D.D.M.). Sending out emails with enticing subject lines may work for your existing customers, but not for Joe Schmoe on the street who has yet to make plans for his family vacation this summer. Put your best offers in his hand and you’ll make it easy for him to come to you to book his travel. Here are 5 tips to make sure you seal the deal. Joe Schmoe is not going to be lured into your travel agency if you have a disheveled bum handing out your business’s flyers. Invest a little time in finding the right person to distribute your flyers and you will get a huge return on investment. 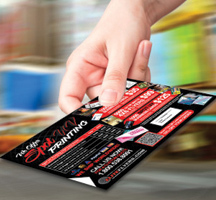 Ideally, a flyer can be the beginning of a conversation between the recipient and the distributor. You want to make sure that your business’s end of the conversation is knowledgeable, approachable, and perhaps even attractive. College students, for example, are a great resource for part-time flyer distribution gigs. As tempting as it may be to simply splash your flyer with neon colors in hopes of attracting an audience, the effect this may have is potentially a cheesy one. When they choose a travel agent, people are trusting that agency with their precious vacation time. They want to make sure that agency will set them up with style and class – and not take cheesy shortcuts. So make sure your flyers and postcards reflect what the customer can expect to encounter on their vacations with you. Tropical scenes, laughing people in bathing suits, European cathedrals… these are the types of designs people want to see on flyers from their travel agents. If you’ve never used E.D.D.M. before, you’ve been missing out on an economical way to get the word out about your travel agency’s great offers. With the Every Door Direct Mailing Service you can ensure that every house and apartment in a specific neighborhood or even an entire zip code receives your postcard. 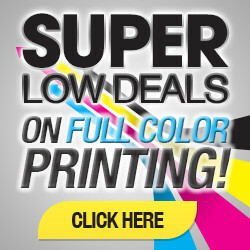 In addition to flyer printing and hand-to-hand distribution, E.D.D.M. is a great way to make sure you have completely covered your bases. Make sure to make your direct mailer enticing, and you will see a stream of customers inquiring about booking with you in no time. Secure 100 or so inexpensive but attractive unisex travel toiletry bags or a similar item. Print Postcards that advertise the free gift for the first 100 customers who come in and sit down for a free consultation with a travel agent at your location. The point is that you will get 100 people through your door, and when they are inside your office, they are that much closer to booking a vacation with you.